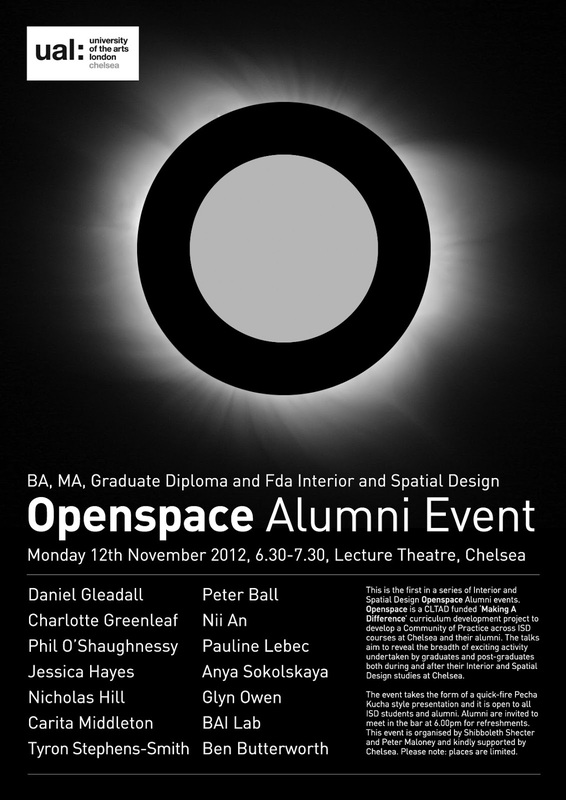 This is the first in a series of Interior and Spatial Design Openspace Alumni events. 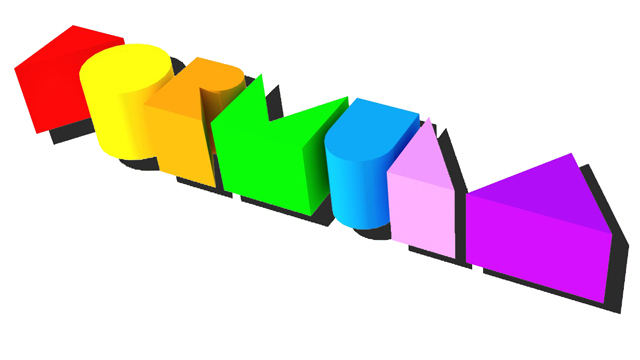 Openspace is a CLTAD funded ‘Making A Difference’ curriculum development project to develop a Community of Practice across ISD courses at Chelsea and their alumni. The talks aim to reveal the breadth of exciting activity undertaken by graduates and post-graduates both during and after their Interior and Spatial Design studies at Chelsea. The event takes the form of a quick-fire Pecha Kucha style presentation and it is open to all ISD students and alumni. Alumni are invited to meet in the bar at 6.00pm for refreshments. This event is organised by Shibboleth Shechter and Peter Maloney and kindly supported by Chelsea College of Art and Design.